One Aurora teen is lucky to have only suffered from smoke inhalation after escaping a Wednesday night fire in his home while trying to save pets. Aurora Fire District personnel responded to a fire inside a home at the corner of Butteville and Ehlen roads around 8 p.m. Wednesday, Oct. 24. The farmhouse, built in 1865, according to Marion County Assessor's Office, operated as the Feller House Bed and Breakfast until about a year ago. A Marion County Sheriff's deputy arrived before fire crews and reported that the house was fully involved with fire. The fire was then upgraded to a second alarm prior to the arrival of units from Aurora, St. Paul, Woodburn, Hubbard, Canby and Tualatin Valley Fire & Rescue. of dogs who remained in the home. While removing the animals the teen inhaled some smoke. He was evaluated by on-scene paramedics and released to his parents. 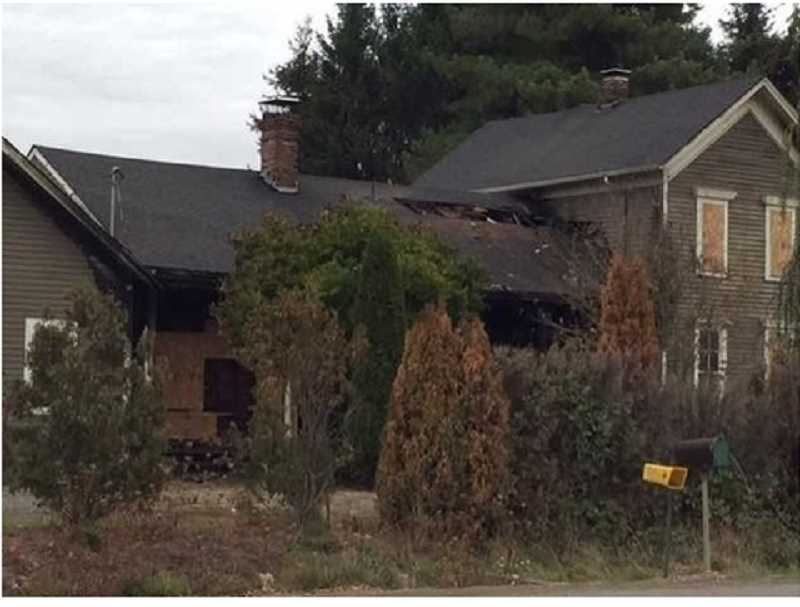 residence when it is on fire due to the great risk to your own health and safety," AFD Lt. Bill Hansen said in a press release. "We are very pleased to report that no serious injuries occured as a result of this fire, although it could have been a very different story." It's still unclear what the future holds for the historic building. "The home is over 100 years old and built very well with large timbers," Hansen said. "The interior of the home is a total loss with most of the contents destroyed. The structural components of the house are still intact, but do have major fire damage, and damage by firefighters chasing the fire through walls and the attic. It is tough to say if the building itself is a total loss." The two families affected by the fire are being assisted by American Red Cross and local family members. A GoFundMe account has been set up for one family, while another family is receiving help from the North Marion High School community. According to a post on the North Marion High School football team's Facebook page, the football team is purchasing an Amazon gift card to help one family whose son is on the team. Additionally, the North Marion High School counseling office will be a collection site for anyone wishing to donate to care packages being made for the families, composed mainly of household toiletries, like shampoo, clothes and toilet paper. For more information on how to help, call the school at 503-678-7123.